The Keys of Metatron comprises four tracks that gradually raise your vibration to 5th dimensional level, then a fifth 'programming' track that takes you to Metatron's Light Chamber. The Keys of Metatron transmits countless mathematical programmes that complete the coding needed to allow world elevation into the higher planes of consciousness. Specially encrypted light patterns embedded within the CD and the music radiate out from the CD player to a radius of 100 metres and reach into the consciousness of every realm of life on Earth, including the heart of Mother Earth herself. This sacred music ensures that all levels of life have the relevant information to make a personal transition to the 5th dimension. Many people are now recognising their spiritual heritage and seeking elevation into the next level of consciousness. Archangel Metatron offers the coding necessary to bring this process to completion. Metatron's Keys greatly enhance the opportunity for spiritual elevation. When received in the form of music, the mind does not need to understand the information. Your divine heart will guide you to link with the highest levels of consciousness and they will reconnect you to the higher planes of light. This project was planned before Shabdan came into this lifetime. Shabdan - musician, psychic and healer - worked on the recording with his etheric soul brother Eldron from the Devanchanic realms of light (also know as the music realms) at the request of and under the guidance of Metatron. A collective 'Keys of Metatron' consciousness was established while the music was being created. As the CD is played, patterning takes place within the auric field and the consciousness is linked to the collective consciousness of the Keys, which is also linked to the collective consciousness of the Keys of Enoch, giving access to the complete combined information of the Keys of Enoch and the Keys of Metatron. The encoding bypasses the intellect to that the incredible esoteric information it contains cannot be blocked by the mind. You can offer great spiritual service to the Earth and to others by playing this recording repeatedly wherever you are in the world. After you have received the Keys of Metatron, you carry the information codes in your aura where they can be accessed sub-consciously by everyone you meet. They then have the opportunity to receive the elements of the Keys that they need to deepen their spiritual understanding, inspiring them to increase the speed of their spiritual unfoldment. Many people feel a palpable difference in their aura the first time they listen to the Keys of Metatron. Metatron's Light Chamber is an interactive esoteric energy space where you will find what you next need for your personal healing, whether it be bliss or the raising of the next issue you need to resolve. The ongoing experience of listening to The Keys of Metatron can be different each time. Repeated playing of the CD will both build the frequencies of the Keys in the collective consciousness and deepen your own spiritual journey. 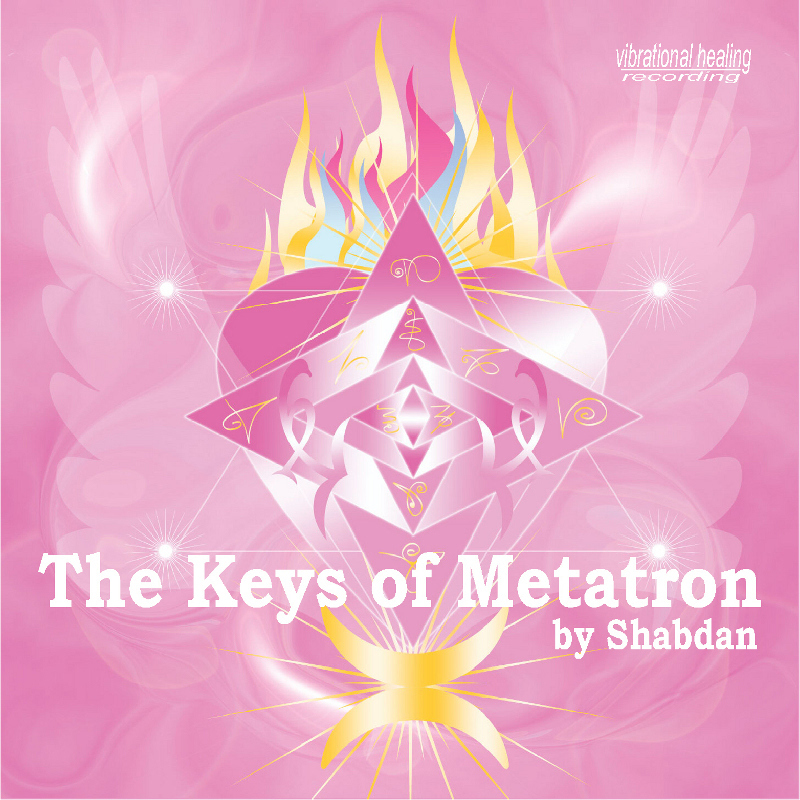 "Listening to the completed Keys of Metatron with the embedded programming added was one of the most profound and important spiritual experiences of my life," wrote Shabdan when the recording was complete. "I felt like I had read a thick book rich in information and knowledge.Although I cannot consciously recall the information, I felt very different and that I had been placed within a new paradigm and level of life."